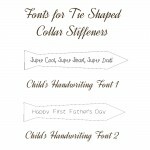 Sterling Silver Tie Shaped Shirt Collar Stiffeners personalised with your own message. An original design handmade by IndiviJewels. 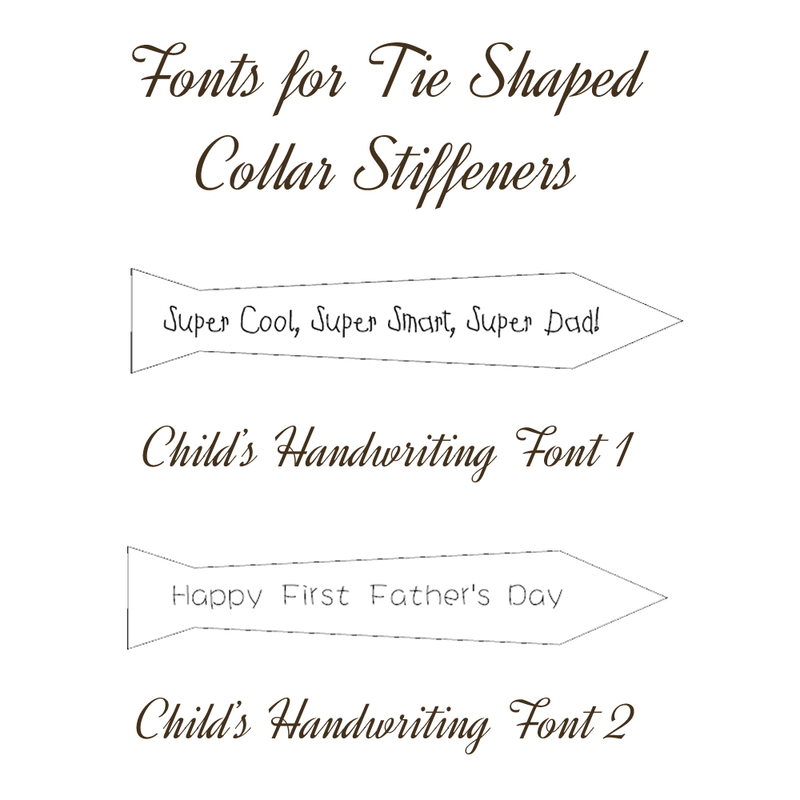 Keep your shirt collars looking sharp with these unique tie shaped stiffeners. 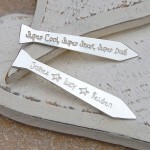 Made from sterling silver these collar stiffeners can be personalised with your own message in our ever popular child's handwriting font making them even more unique and personal to the recipient. The tie shape is a unique and original design by IndiviJewels and each pair is carefully hand cut and then your words are etched deep into the silver. 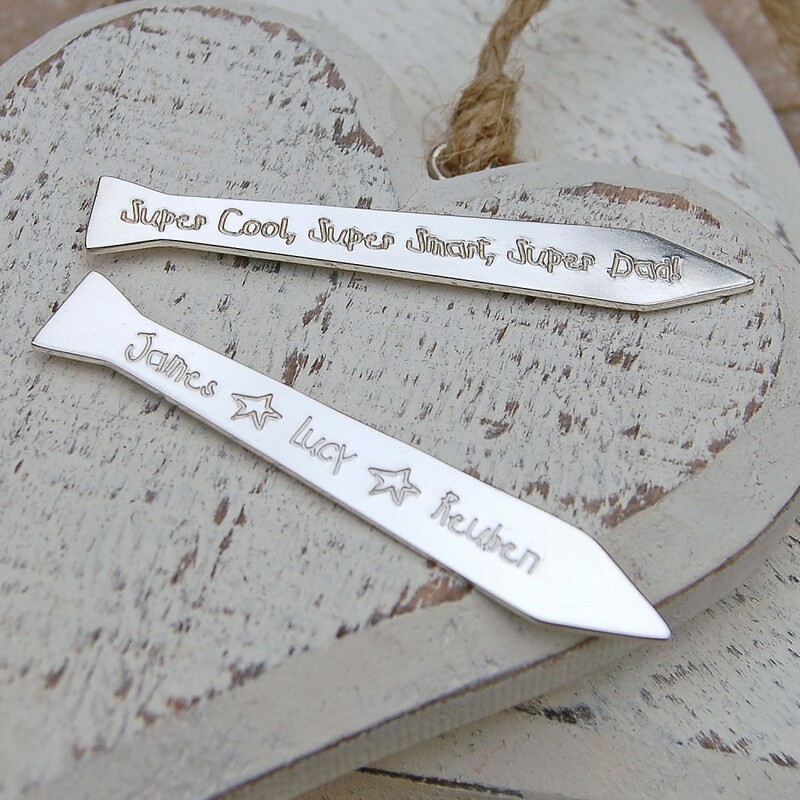 They make the perfect gift from little ones to Daddys, Grandads, Uncles and Brothers, to celebrate a birth, special birthday, Father’s Day or Christmas. These silver shirt collar stiffeners (also know as collar stays) slip into the underside of a shirt collar to keep it sharp and crisp and make a practical yet very personal gift for the man who has everything! 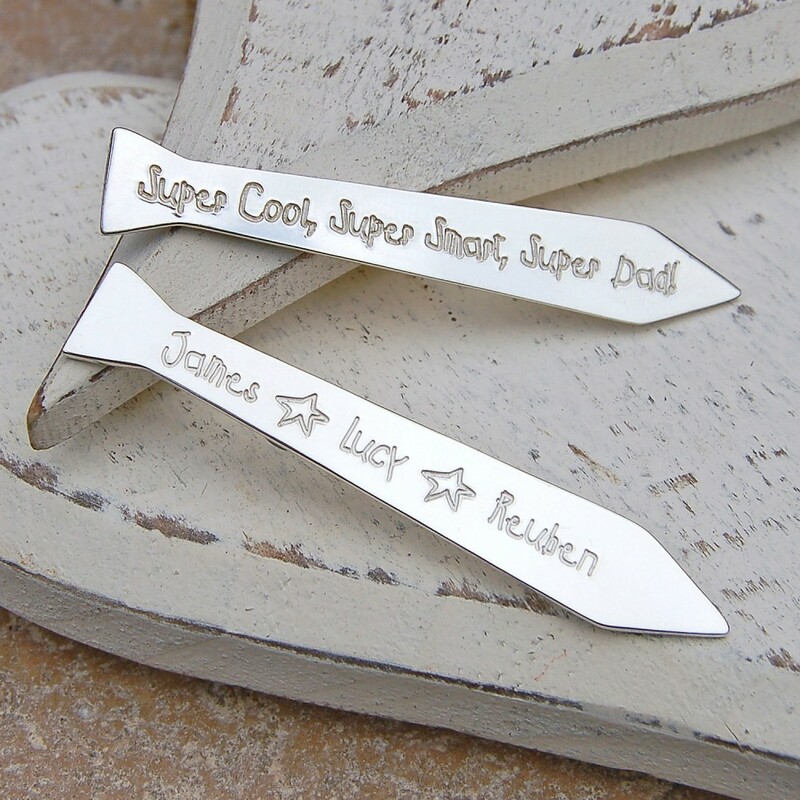 Each collar stiffener can be etched with a message of up to 35 characters including spaces in your choice of our ever popular child’s handwriting fonts and if you are including children’s names on the collar stiffeners you can also have the option to have hand drawn stars or hearts, separating the names, or if there is just one name we can add a star or heart at the beginning and end of the name. The possibilities for personalising these collar stiffeners are endless and the end result will be a beautiful and original handmade gift that will be treasured. Matching cufflinks and tie slide are also available. Length approximately 6cms and 1cm wide at the widest point and 1mm thick.